Young Jonathan Pollet makes good! A few years ago, a young man who was already the President of his own system integration firm in his 20s started coming to ISA President's meetings and to CSIA meetings. His name was Jonathan Pollet and his company was PlantData Technologies, in Houston. Jonathan and I did a program together for CSIA, and I found him energetic, smart, and knowledgeable beyond his years. In other words, the guy was gifted. So I am pleased to note that Jonathan has indeed made good: Verano, Inc. today announced it has acquired PlantData Technologies, a SCADA security, IT services and industrial automation firm headquartered in Houston, TX. Remaining an independent subsidiary of Verano, PlantData Technologies compliments all aspects of Verano's business from Verano's security solution, Industrial Defender, to its mission-critical SCADA platform and integration services. Both companies are practicing experts in SCADA and mission-critical real-time security, targeting customers in power generation, transmission and distribution, water distribution and treatment, gas and liquid pipelines, and mass transit systems. 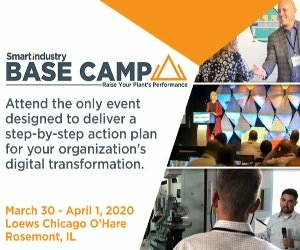 "PlantData's in-depth analytical knowledge combined with Verano's 20 years of industry experience, introduces the only company in the market to provide this level of security and SCADA consulting expertise, combined with advanced security and SCADA technology," said Jonathan Pollet, president, PlantData Technologies. "We can now confidently offer our clients a reliable, proven and safe security solution once their needs have been assessed." For example, one of the many services PlantData Technologies provides is a NERC Compliance Gap Analysis. Helping utility companies meet newly implemented NERC CIP standards, PlantData assesses critical assets within the network and identifies areas susceptible to potential threat. Verano's Industrial Defender product suite provides customers all the necessary layers of cybersecurity monitoring, protection and reporting in one integrated solution. "Acquiring PlantData Technologies supports Verano's strategy of being the leading provider of security and SCADA solutions for mission-critical industries," said Brian M. Ahern, president and CEO of Verano, Inc. "PlantData's extensive real-time security services and SCADA systems integration experience strengthen our market position. This acquisition enables us to fulfill the increase in demand for both security and SCADA deployments while also assisting with feature enhancements to our award-winning Industrial Defender security solution." PlantData works with customers such as ExxonMobil Chemical, National Oilwell Varco, Public Service Enterprise Group (PSEG) and Seneca Resources Corporation. In conducting network security assessments, PlantData gains a first-hand view of the actual issues plant operators encounter. In most cases, their cyber assessment teams can detect weaknesses and identify security threats before they are even known to exist. Verano recently announced significant advancements to its Industrial Defender product, incorporating two years of extensive market research and customer feedback. Verano's Industrial Defender V2.0 features enhanced security agents, customizable reporting and analysis, and increased scalability intended specifically for power transmission and distribution, water distribution and treatment, gas and liquid pipelines, mass transit systems and power generation companies.